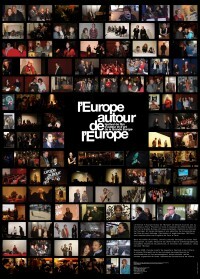 The L’Europe autour de l’Europe film festival takes place every year in Paris. For a month, the festival presents films of Greater Europe (47 European countries, members of the Council of Europe). About 200 films (feature films and short films, documentaries, animation and experimental films) are screened in 20 theatres, foreign cultural centres and other exceptional venues, where the viewers can discover old and contemporary European film masterpieces. The l’Entrepôt theatre is the main screening venue where other events also take place, such as concerts, round tables, book presentations, conferences, master classes as well as the opening and closing ceremonies. Since 2012, the festival presents a selection of 9 European films, unreleased in France, for the Prix sauvage competition. The screenings are followed by discussions with the directors, film critics and specialists. Among the guests that have participated in earlier editions of the festivals are masters of the European Cinema like Agnès Varda, Kine Aune, István Szabó, Marlen Khoutsiev, Carlos Saura, Henning Carlsen, Jan Troell, Neil Jordan, Jim Sheridan, Márta Mészáros, Jonas Mekas, Kira Mouratova,Krzysztof Zanussi, Anja Breien, Karpo Godina, Knut Erik Jensen, Jos Stelling, Armand Gatti, Pierre Rissient, Hans-Jürgen Syberberg, Agnieszka Holland, Peter Fleischmann… Among French and international film critics, the festival has had as guests: Antoine de Baecque, Yvette Biro, Michel Ciment, Bruno Dietsch, Elise Domenach, Jean Douchet, Pierre Gras, Mathias Lavin, Kirill Razlogov, Sylvie Rollet, Paul Ryan, Eugénie Zvonkine. The festival tries to introduce young directors from all over Europe to the Parisian audience: Gilles Deroo et Marianne Pistone,Verena Paravel, Ania Szczepanska (France), Veiko Ounpuu (Estonie), Ignas Jonynas (Lettonie), Alanté Kavaité (Lituanie), Ninja Thyberg (Suède), Gust van den Berghe (Belgique), Frères Bukharov, Gabor Horcher, Szabolsc Tolnai (Hongrie), Albert Serra, Luis Lopez Carrasco, Miguel Llanso (Espagne), Men Lareida (Suisse), Daniel Hoesl, Albert Sackl, Philipp Fleischmann (Autriche), Kirsten Sheridan, Pat Collins, Johnny O’Reilly (Irlande), Menelaos Karamaghiolis, Petros Sevastikoglou, Penny Panayotopoulou, Yorgos Tsemberopoulos, Mario Garefo (Grèce), Jamal Khalaile et Raed Andoni (Palestine/Israël), Elmar Imanov, Engin Kundag, Frauke Finsterwalder (Allemagne), Eric Poppe, Eskil Vogt, Jan Vardoen (Norvège), Mika Ronkainen (Finlande), Stefan Ivancic, Andriana Stojkovic (Serbie). Association Evropa Film Akt, public company by the Law 1901, was founded by director Irena Bilić and is directed by a 7-member administration council. 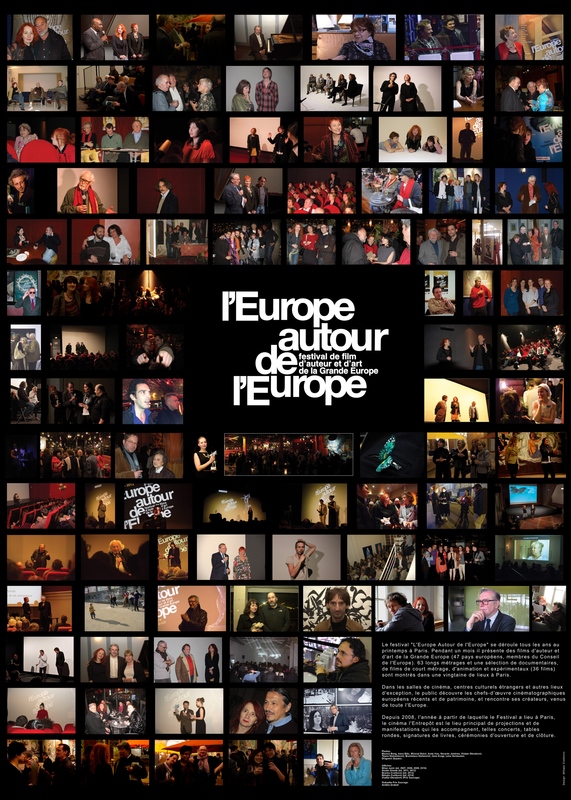 The main activity of the association is the organization of a festival of European films, L’Europe autour de l’Europe, but also the production of short films and documentaries. The association provides further services such as artistic advice, translations and subtitling.